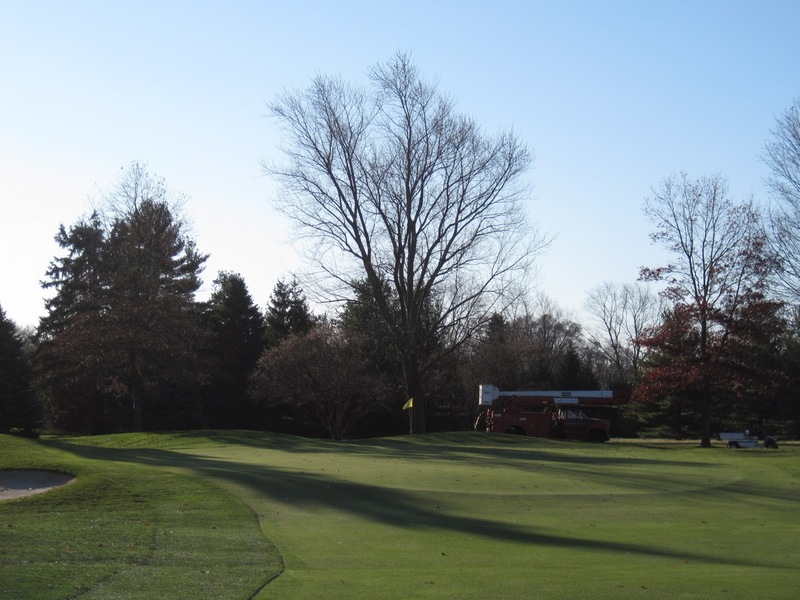 I have been discussing and preparing you for the planned tree work around #12 green and #13 tee for quite a while and now the time has come to show you the results of our plan. For those of you that don’t recall these discussions or reading about it in previous newsletters, I will give you a ‘Cliff’s Notes’ version of what all the discussion was about. During the last two summers we have faced unusual spells of very hot weather coupled with extremely high humidity and excessive rainfall leading to very stressful conditions for managing turf (especially on greens). #12 green has not responded well during these stressful periods and has led to a loss of turf on the putting surface which required us to manage that particular green differently. Even with the fan running to help cool the surface and increase air flow, it simply hasn’t been enough. So, what could we do to help prevent this from happening again? 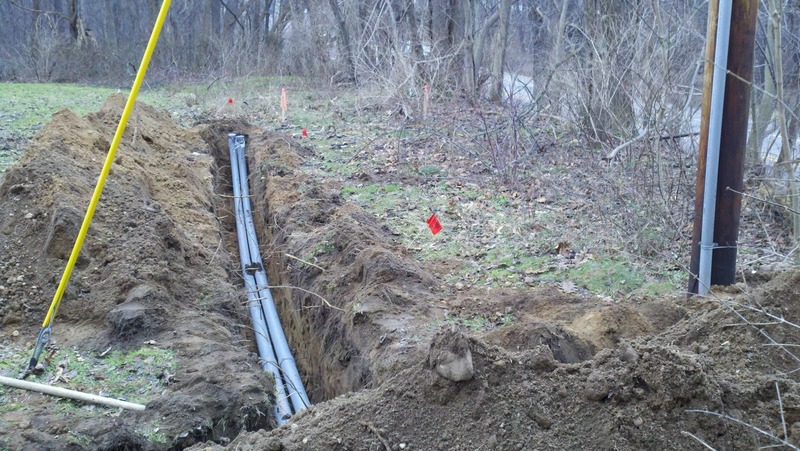 The simple answer is to improve air flow even more and to increase the amount of sunlight the green receives. 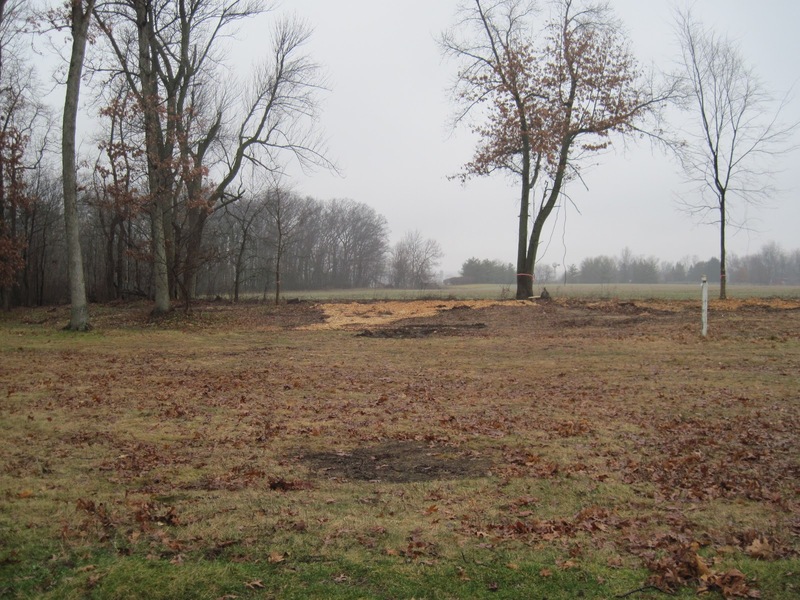 In order to accomplish both of these goals, an aggressive tree removal plan was evaluated, discussed and approved. 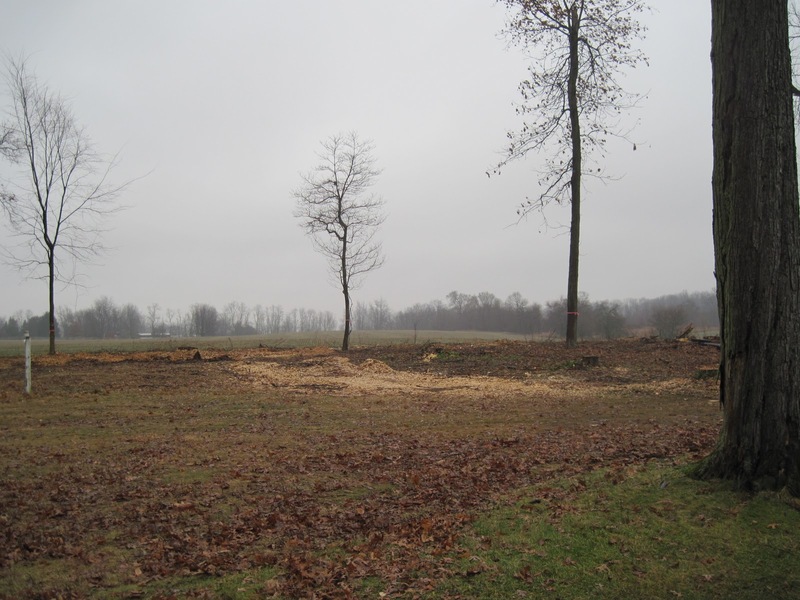 Below, you will see several before and after photos of the areas around #12 green and #13 tee. This post is significantly longer than my normal posts, so please take your time and enjoy the photos. Click on the pictures for a larger view. 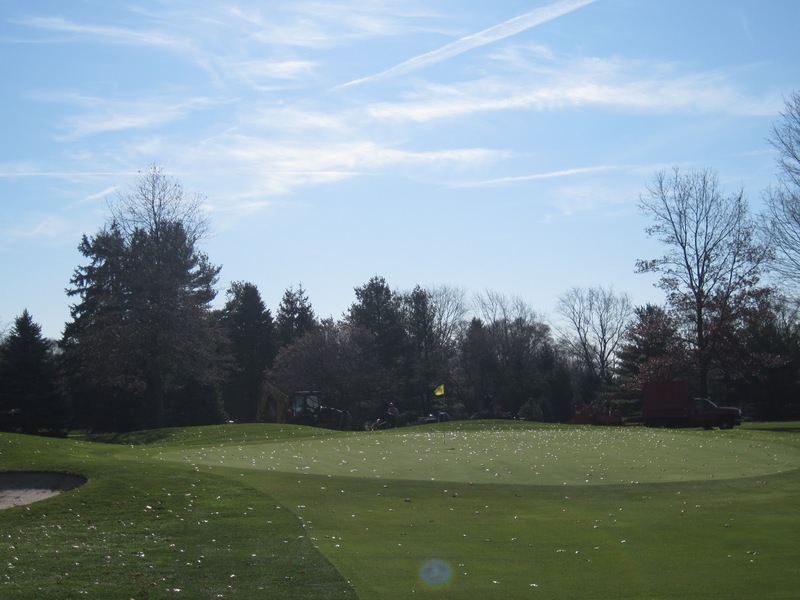 The first two pictures show before/after of the area directly south of #12 green (looking toward #7 green tee). 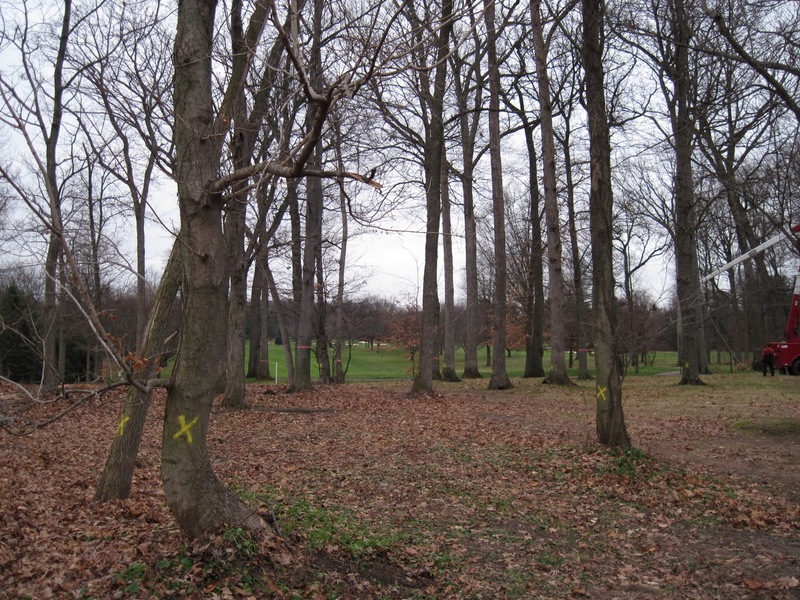 The goal with removing five very tall and equally large trees in this area is to improve the amount of sunlight that the green will receive in the spring and fall when the sun travels across the horizon at a lower angle than it does during the summer months. More sunlight = Healthier turf. 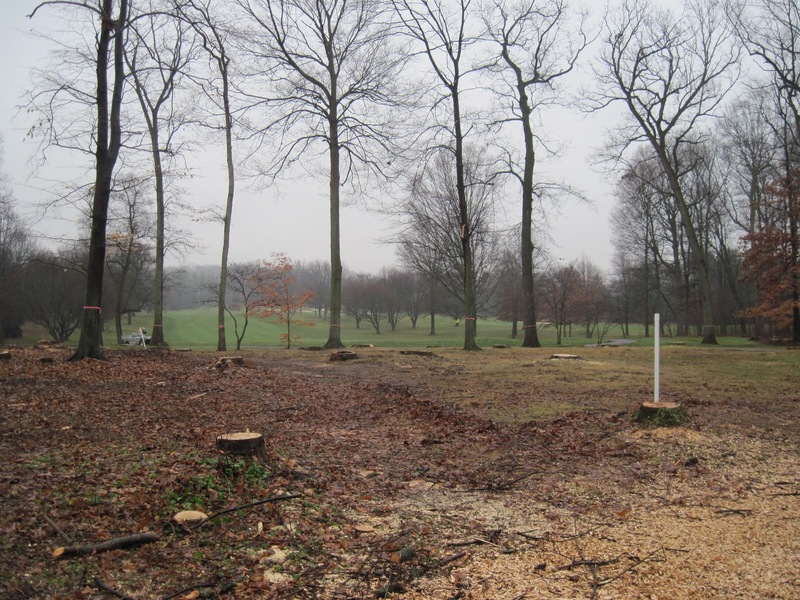 The next two photos really show how many trees were removed with the goal of improving air flow coming from the west. These photos were taken from the north side of #13 tee looking toward #12 green. While improving air flow from winds out of the west will be extremely helpful, we really aren’t accomplishing much unless we evaluate how to utilize winds from the northwest as well as the north. 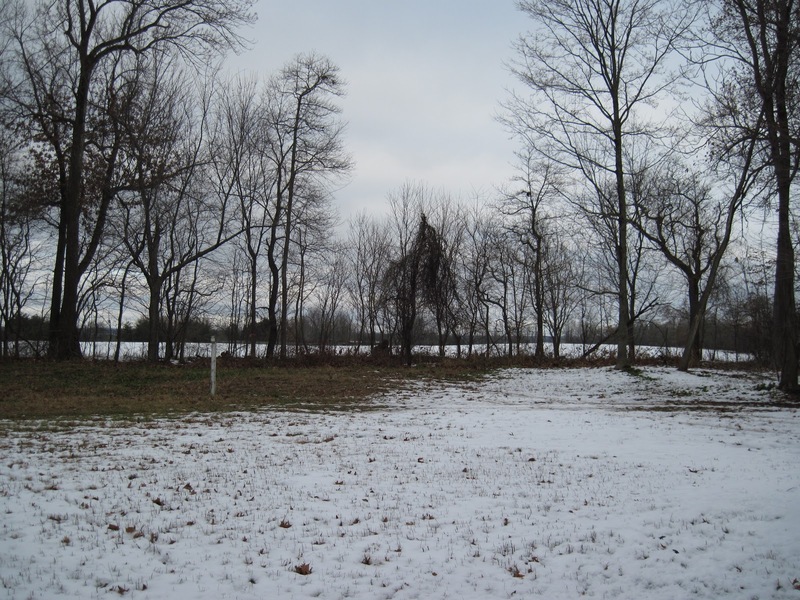 These four photos show the work that was done along the fence line on the northern edge of the property by #13 tee and #12 green. We had been talking about cleaning-up this area as it always seemed rather unsightly. I think you will really enjoy the new view to the north, while #12 green will enjoy being able to breathe a little more easily. And now for the big reveal! Many of you are probably extremely nervous about how the view has changed from #12 fairway looking toward the green. While we did make some rather significant changes, I think you will find that the backdrop to the green hasn’t changed much. Yes, it does look different, but I feel very strongly that we were able to keep the same overall view for your approach shot while opening the area for improved air flow to the green and surrounding areas. After nearly a year of negotiating with Verizon Wireless and SBA Communications, we finally have an agreement in place that will secure an additional source of revenue for the club that could potentially last 25 years or longer. SBA Communications, the owner of the tower, isn’t wasting any time getting started. 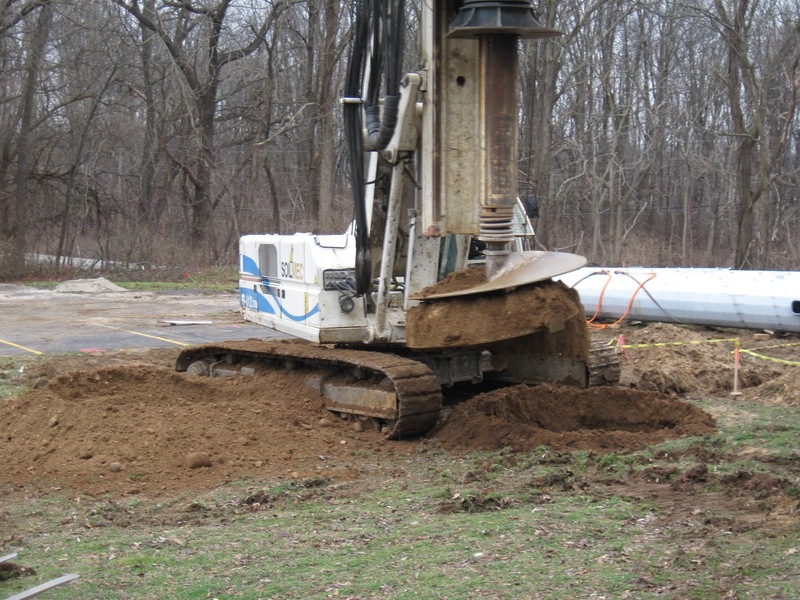 Initial work began on December 13th and is expected to be completed within 2 months. Personally, I feel it will be completed well before that, but time will tell. Because of the way the lease is structured, payment has already begun, so we are not at the mercy of someone else’s schedule. 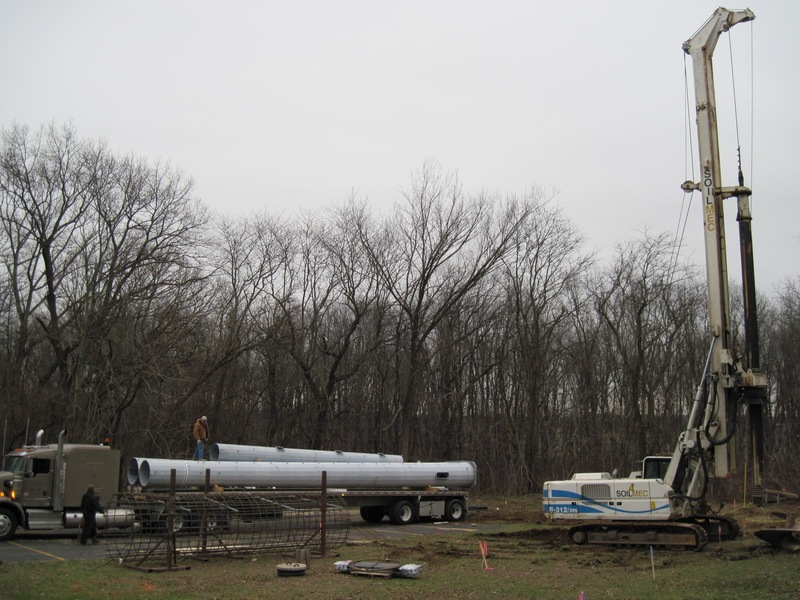 I will try to provide timely updates about their progress, so please keep checking back. 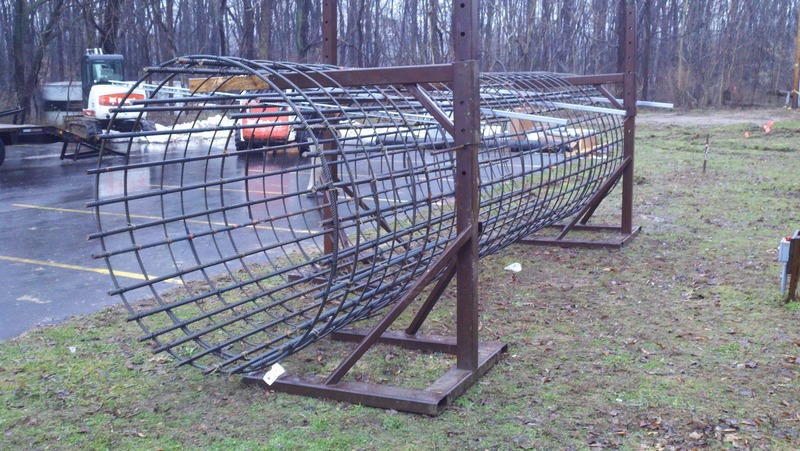 be 25 ft. deep and 5 ft. wide. 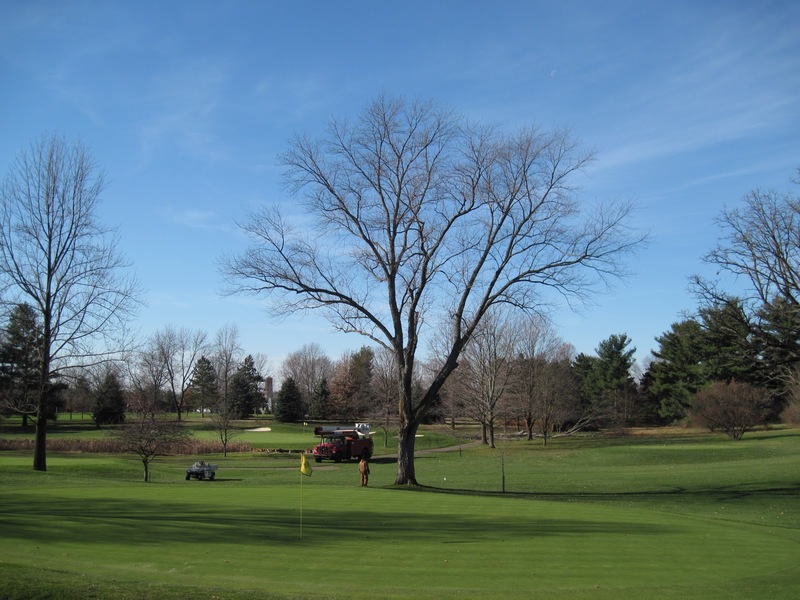 Just as we do every year, we spend the latter part of each fall and a majority of the winter performing necessary tree work throughout the golf course. This off-season is no exception. 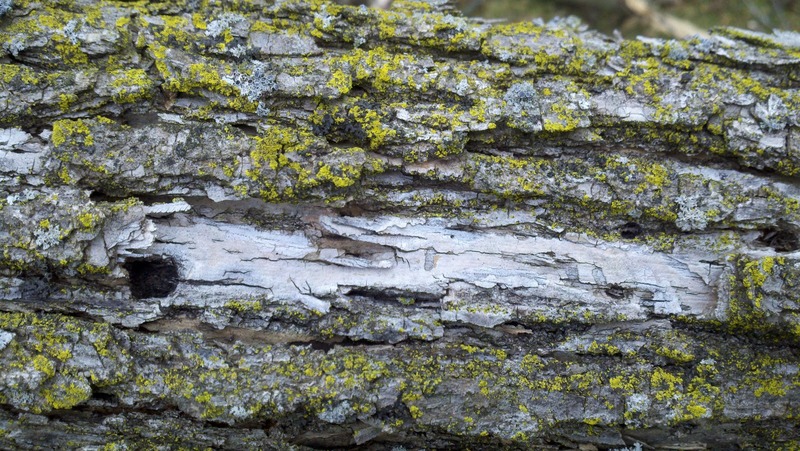 As mentioned in the most recent edition of Elcona’s newsletter, the Emerald Ash Borer has now made its way here. 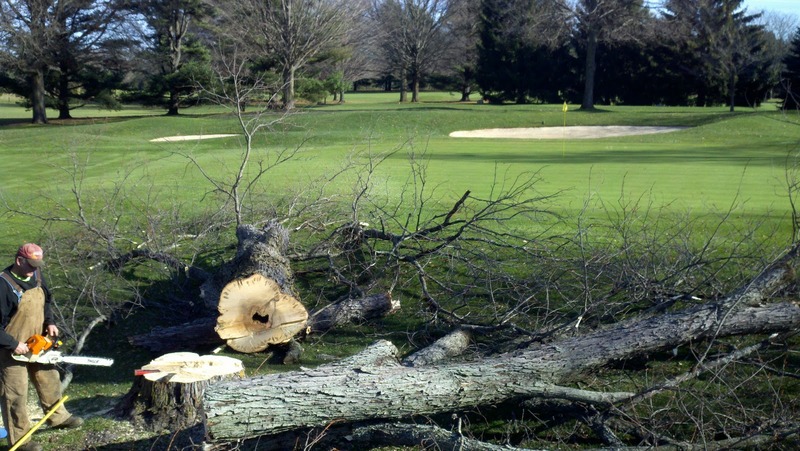 A number of our Ash trees have been impacted and will need to be removed. 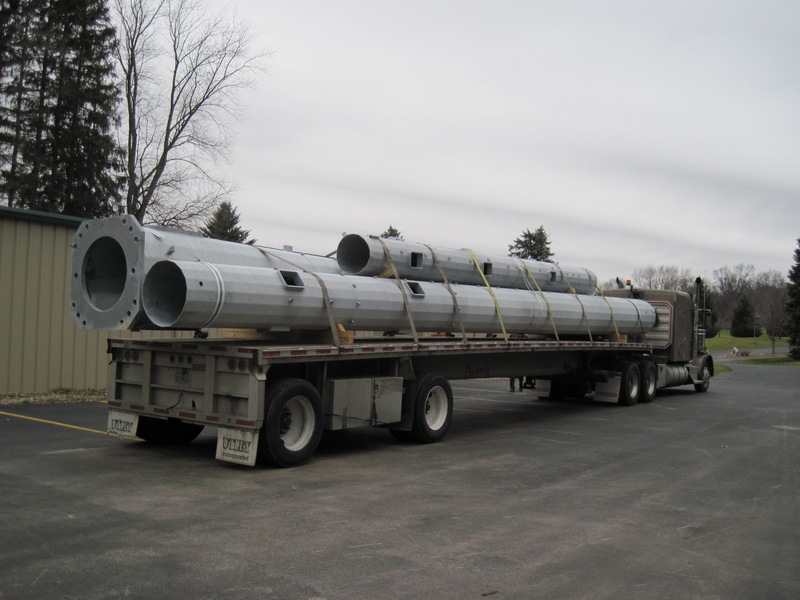 Luckily, none of the ones that will be removed play any significant roll in the playability of a golf hole. 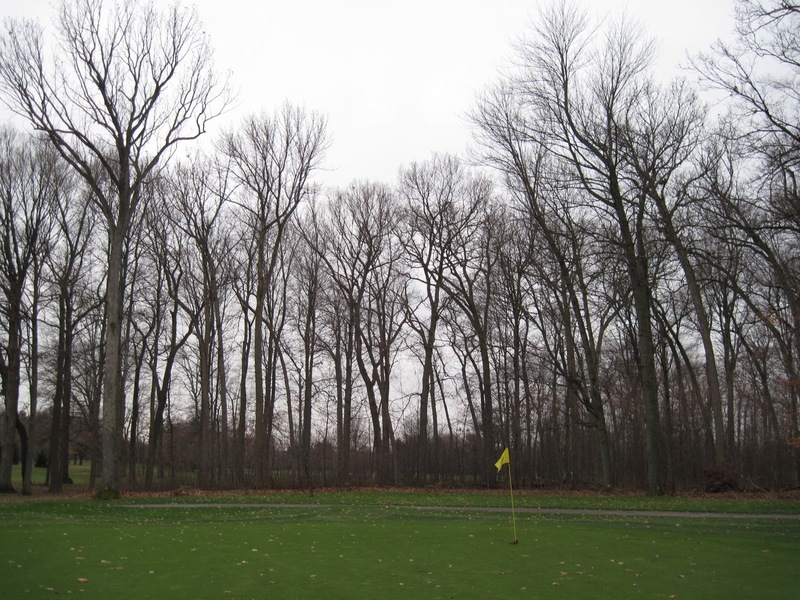 Other areas of focus are trees that are beginning to negatively impcat cartpaths because of root growth. 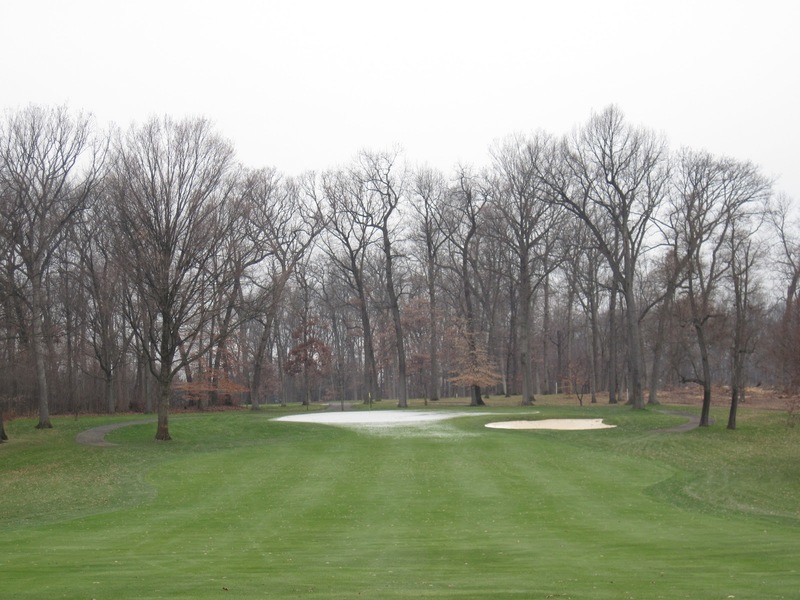 With the increased focus on maintaining/improving our cartpaths, we must first remove the trees that are causing problems to the paths. 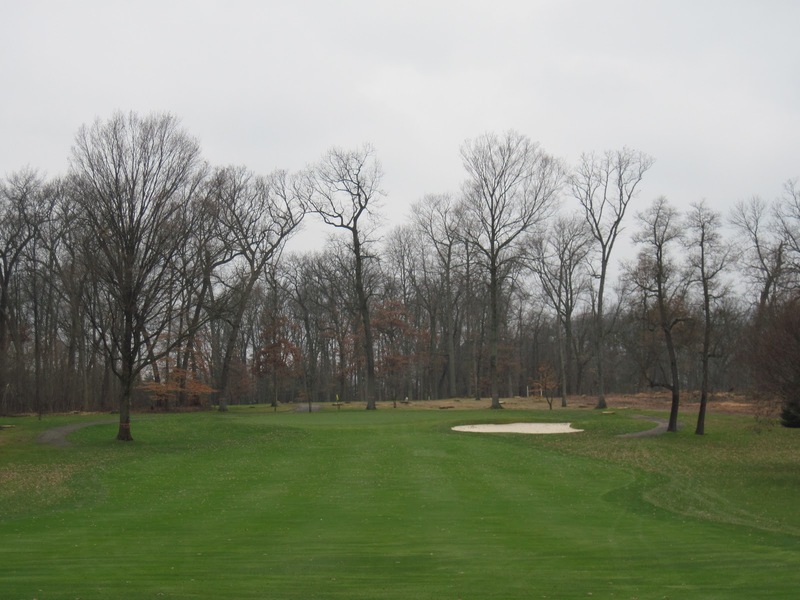 As always, our primary focus is improving turf health when deciding which trees to remove. We have come a long way in the last few years, but there is till a long way to go. 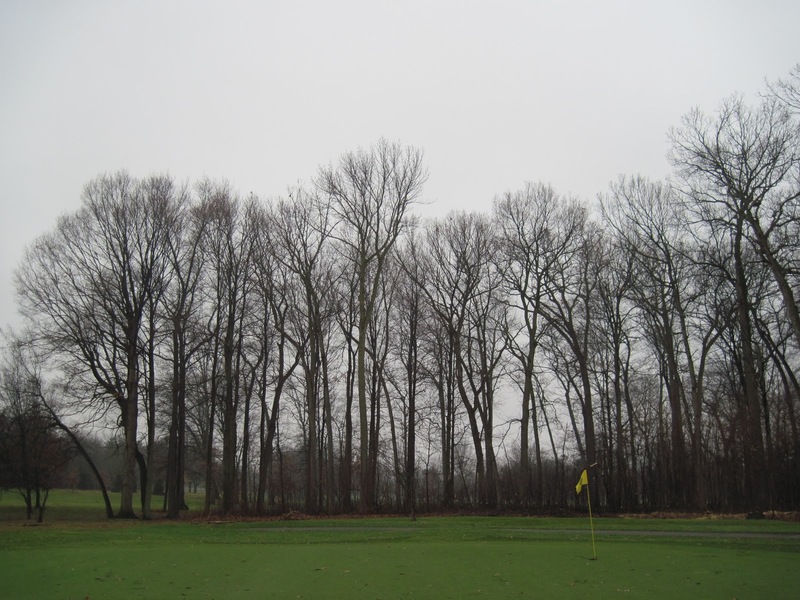 Trees that create an abundance of shade on any of the greens, restrict air flow or trees that are notorious for leaving debris (Silver Maples, Locusts, Ash, Tulip etc.) are at the top of the list. 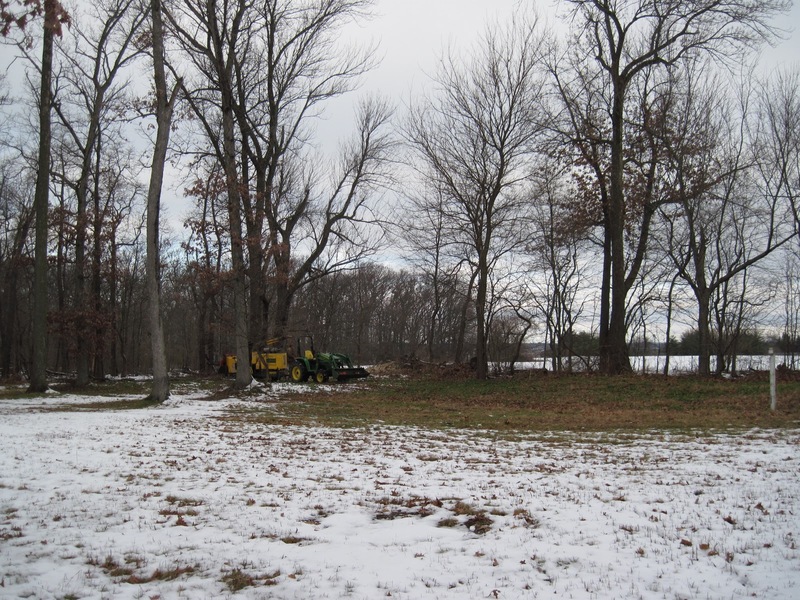 Stay tuned for an update on the clearing of the fenceline by #12 green and #13 tee.